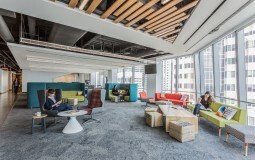 Flexible spaces fit a software firm’s social disposition. 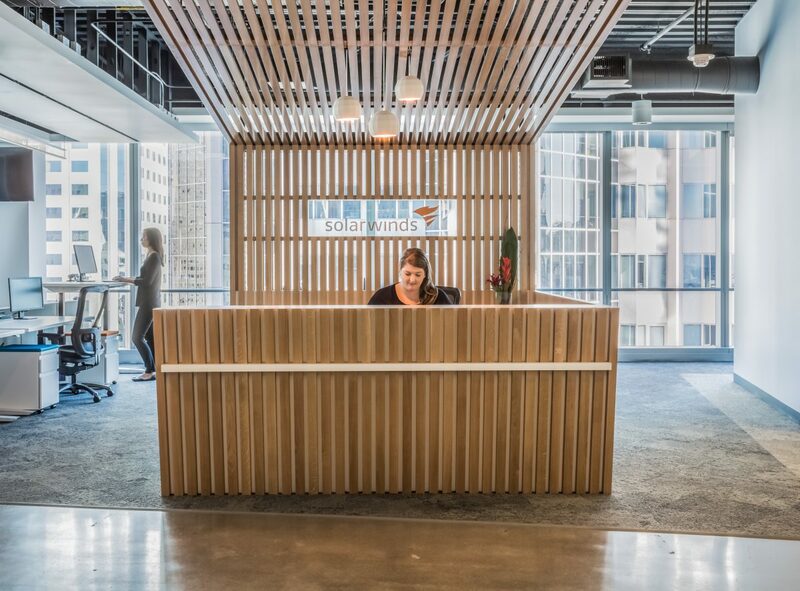 Champion of network performance and IT security, SolarWinds soared into new offices on the 21st floor of 535 Mission Street in San Francisco. 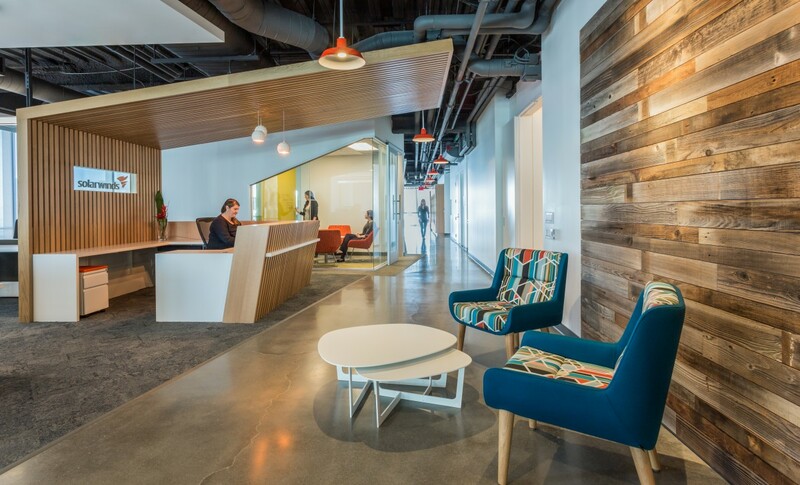 The firm needed a design for an interior build-out that would rapidly attract new employees, keep up with a fast pace of growth, and also support a strong social culture. 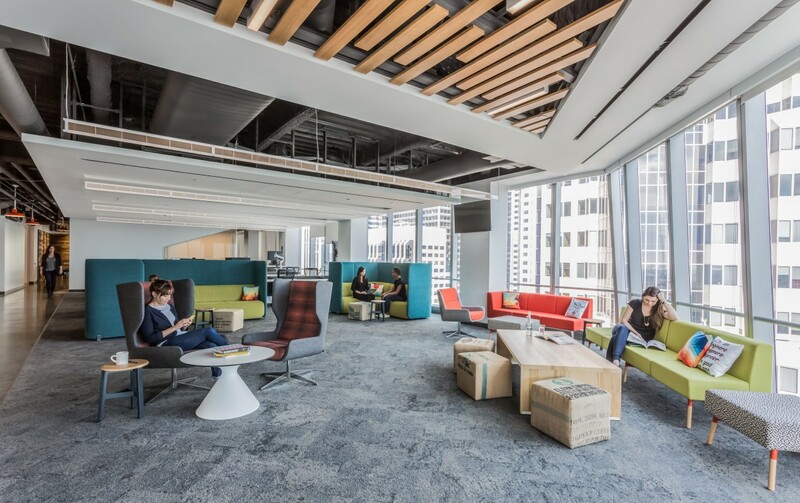 The new 9,870 sf office is a landscape of collaboration, providing a variety of places to work while maintaining a cohesive vernacular. 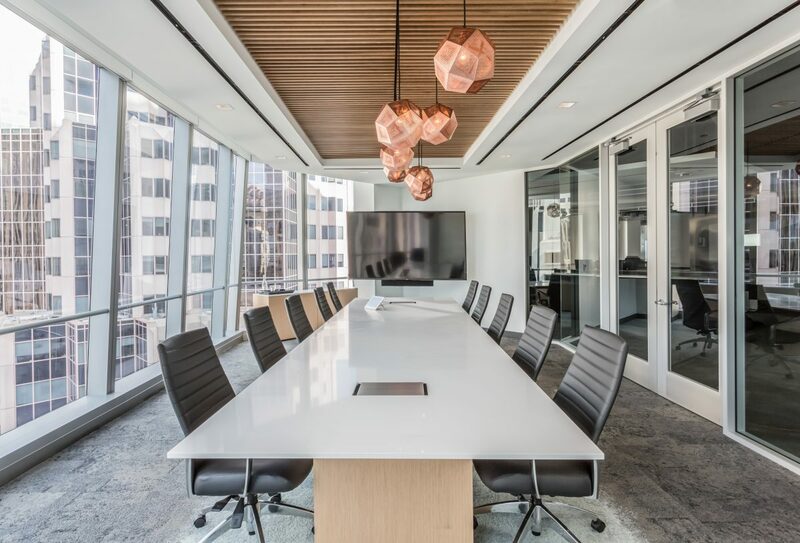 Flexible sit-stand workstations are supplemented by enclosed meeting rooms that can accommodate anywhere from two to twenty. 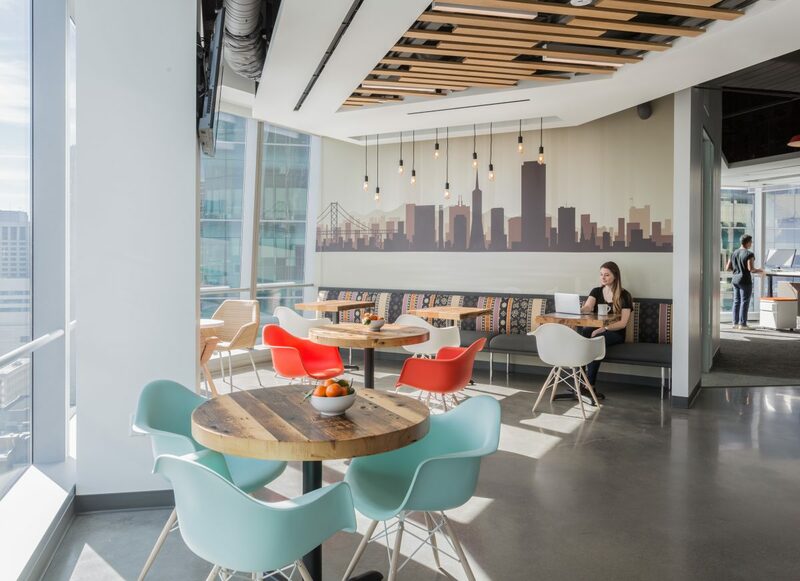 Coffee and food are social touchpoints at Solarwinds, so the workspace flows seamlessly into a breakroom with views to the Bay Bridge beyond. 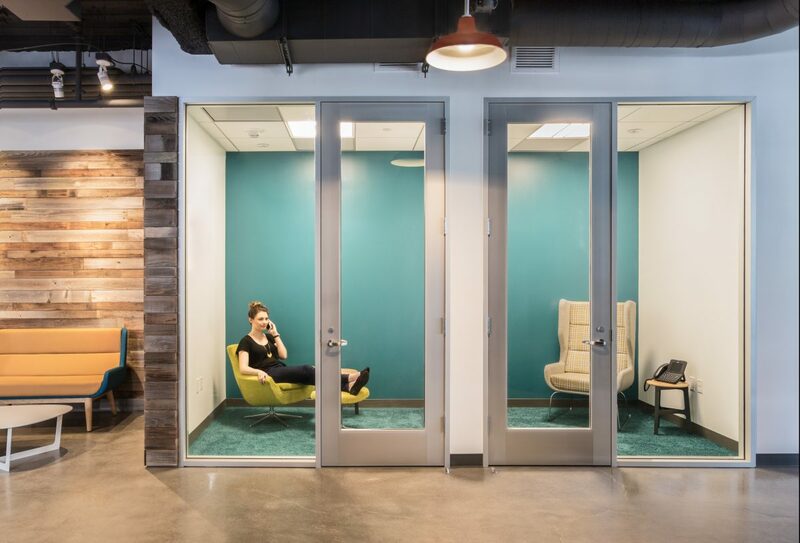 Programming exercises showed that SolarWinds needed to plan ahead for growth, so RMW provided lockers and benched desks for the anticipated staff surge. 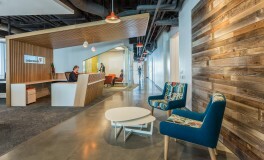 A field of neutral tones and unique ceiling treatments create a cohesive space that is landscaped with pops of color.